If you want to make sure all that hard work in the gym actually makes a difference, get your post-workout routine on-point. Right after a workout, your body is primed to rebuild bigger and stronger. But if you don’t treat it right, significant gains can be lost. One easy way to upgrade your post-workout routine is with the right supplements. This will provide your body with the all the pure nutrients it wants after a workout – without the extra calories of a big post-workout meal. However, sifting through all the post-workout recovery supplements can be tough, so we rounded up some of the best, based on real customer ratings. Check them out below. These creatine gel capsules from BulkSupplements are a bulletproof option. They’re 99.99% creatine (the natural solution that facilitates energy release in your muscle cells), and they come very highly rated with over 11,000 reviews and 4.8 stars. 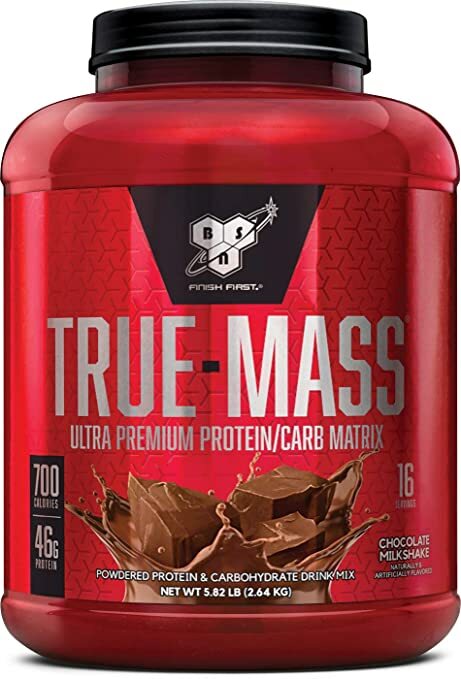 This protein-carb powder is another go-to for weightlifters because it delivers the most effective type of protein to your muscles. We like this one from BSN because it packs 10 grams of amino acids per serving, and tastes decent too. Another great creatine powder is this one from Genius. It works quickly to energize your muscles after a tough workout, allowing them to rebuild stronger and bigger. This complete post-workout blend is even better than its cool label suggests. It contains a careful mix of amino acids, creatine, and L-glutamine, which all work in unison. It was developed and tested by real bodybuilders, and we think it’s well worth the extra dough if you workout often.